The ban on flights between the UK and the Red Sea resort came into force after the downing of Metrojet Flight 9268 on October 31, 2015. The jet was travelling between Sharm el-Sheikh and Saint Petersburg when it disintegrated over northern Sinai, killing all 224 people on board. An improvised bomb aboard the aircraft is thought to have been responsible for the disaster. 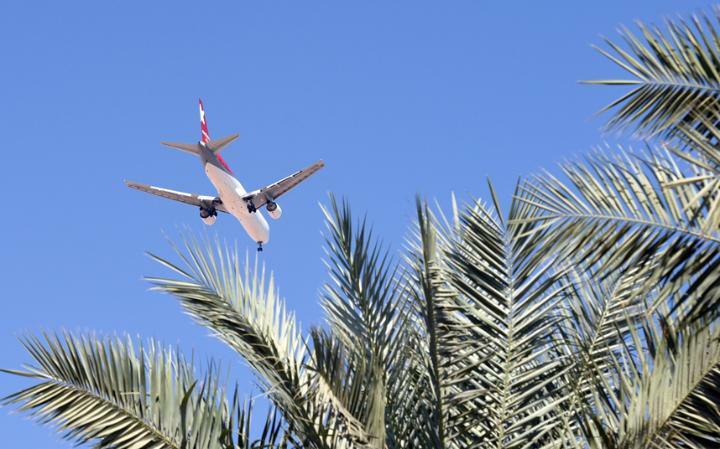 The subsequent ban on flights between the UK and Sharm el-Sheikh airport, through which the bomb is thought to have been smuggled, has been catastrophic for the Egyptian tourist industry, as the number of holidaymakers travelling to the resort has plummeted. Egyptian authorities claim Sharm el-Sheikh airport has had a root and branch restructuring since the disaster to ensure that it complies with strict new standards set by the UK government. Those standards were met months ago, according to Egyptian officials, who have privately expressed their frustration over the UK government’s reluctance to overturn the ban. “I personally believe it is just a matter of time before the UK government reviews the work and investment we’ve done in improving security in our airports and lifts the ban on flights to Sharm el-Sheikh,” said Mr Rashed. The ban is also causing frustration amongst UK travel firms, which are now entering the busy winter season. More than 30 travel companies including Expedia, TUI and Saga have now joined a partnership, dubbed the Travel Industry Egypt Advisory Group, to work with the Egyptian tourist office and lobby the UK government to overturn the ban. But despite mounting pressure, the Foreign and Commonwealth maintains its advice: that it is safe to visit Sharm el-Sheikh, but not by air. This position is actually informed by the Department for Transport (DfT), which defended its decision to uphold the ban. “The security of British nationals is our top priority, and we took the decision to suspend flights from Sharm el Sheikh in November last year in the aftermath of the Metro Jet crash to protect the travelling public," said a DfT spokesperson. "We have been working closely with the Egyptians to improve the security arrangements at the airport. We keep aviation security under constant review." In September, the head of the UK Government task force on resuming flights to the country, Sir Gerald Howarth, said he believed enough had been done to restore links . He also expressed concern that a collapsing tourism industry could leave an employment vacuum to be filled by extremism. Until the ban is lifted, British holidaymakers determined to travel to Sharm el-Sheikh must book multiple flights or travel by ferry from Hurghada, which is served by easyJet. Egypt is one of the few places where Britons can get more for their money since Brexit: the Egyptian pound lost nearly half of its value last week when the government made the unprecidented decision to float the country's currency.